The Rum Regatta is a yearly meeting of historic working boats from all over the world that happens every Ascension weekend. 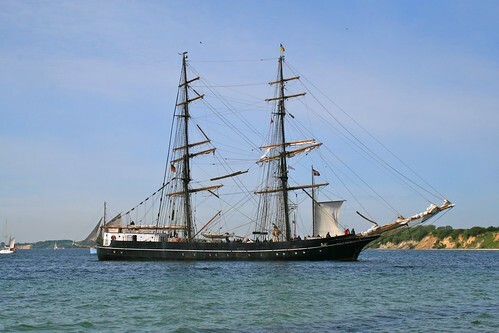 It is held in Flensburg Fjord to commemorate the sugar boats docking in Flensburg from the Caribbean in times gone past. The weekend started on Ascension Thursday when the boats arrived in Sonderborg harbour in the afternoon. It was lovely seeing these big historic boats sailing into the harbour past Sonderborg castle. It really made you want to turn the time back to when such boats regularly sailed in and out of a harbour. The boats left Sonderborg harbour on Friday morning. The boats were expected to leave the harbour at around 11am, after a captain’s meeting at 10am. 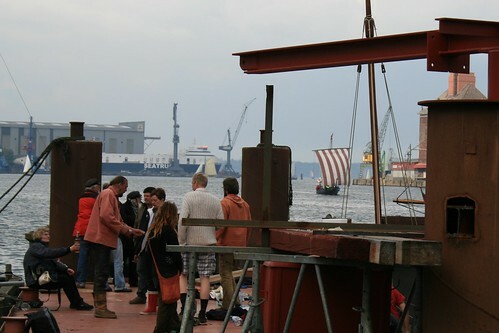 However, when we arrived at the harbour at 10:30 with the aim of seeing the exodus start, most of the boats were already out of the harbour, waiting for the Flensburg Fjord Regatta to start at 11:30. Therefore, if you are interested in seeing the boats leave would be wise to be there earlier than 10:30 (maybe 10am?) next year! The end of the Regatta saw the boats arrive in Flensburg in the afternoon. We went down to Flensburg on Saturday morning once the boats were out participating in the Rum Regatta to soak in the atmosphere and see the boats returning home. 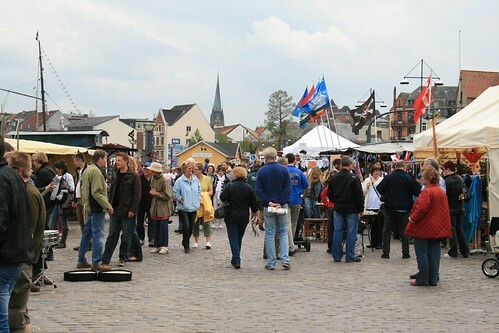 Along the Museumshafen in Flensburg there was a great atmosphere all day long. 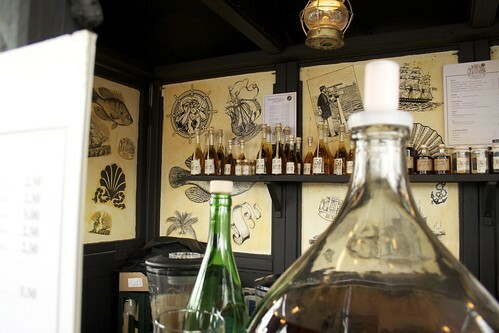 The Gaffelmarket was on all day with stalls selling shipping-related items, craftsmen working in wood, metal and rope makers working at their craft, and stalls selling food (mainly fish and other sea food), and of course, rum! Once the boats starting arriving in the harbour at around 3pm it was another great scene as they approached on the horizon. Spotting Sebbe Als, which we helped launch a few weeks ago, keeping its own with the other boats made it that much more special. 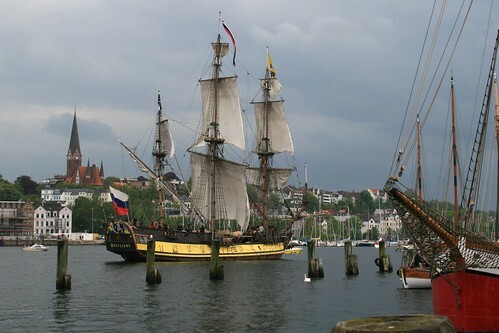 The boats were scheduled to leave Flensburg harbour on Sunday morning, seeing the end of the Rum Regatta for this year. 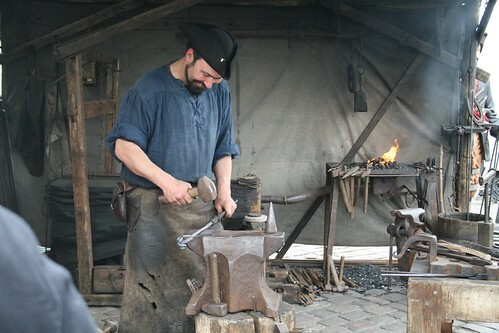 A great experience that is surely worth your while to travel to see, either in Sonderborg or in Flensburg. When the boats are in the harbour you can also get the opportunity to look around some of the boats, and some of them also allow the public to join them for a trip out on the water. If historic boats is of interest, you will definitely find something for you at the Rum Regatta! This entry was posted in Outdoors and tagged Ascension, boats, fjord, flensburg, gaffel, Gaffelmarket, historic, Museumshafen, regatta, Rum Regatta, Sebbe, Sonderborg by Ann. Bookmark the permalink.